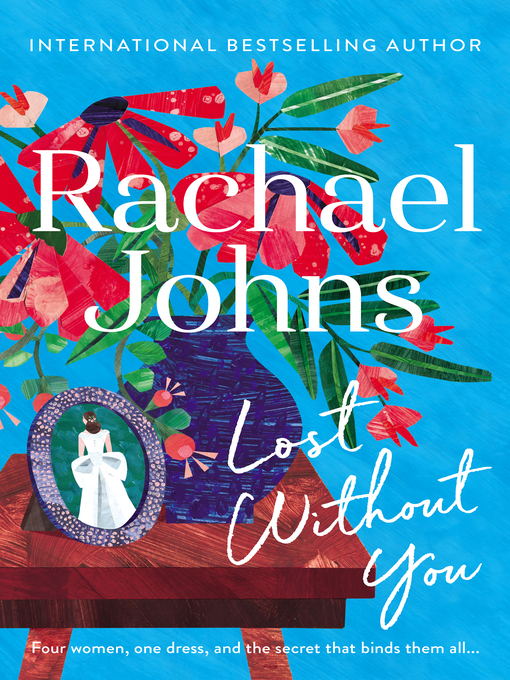 A fresh and poignant novel of family, journeys, past decisions ... and dresses ... from the ABIA award-winning, bestselling author Rachael Johns. On a special night that is supposed to be a celebration of new beginnings, Paige MacRitchie's joy quickly falls away when her mother collapses during the speeches at her book launch. In the aftermath, and terrified of losing her, Paige decides she wants to make the ultimate tribute to her parents' perfect marriage: she will wear her mother's wedding dress for her own big day. There's just one problem – her mum, Rebecca, no longer has the dress. As Paige tries to track down the elusive gown, she discovers that Rebecca has a long–hidden secret that, if revealed, could blow her whole family apart. Her new friend Josie is at a crossroads too. She met her husband Nik when she was singing in an eighties–themed bar, but now she's lonely, yearning for a family and wondering if Nik understands her at all. And then there's nurse Clara. When she married Rob Jones, an up–and–coming rock star, she thought she was in it forever. But now Clara needs to make a new life for herself and Rob can't seem to understand that it's over. When the fates of these four women intertwine in an unexpected and powerful way, none of their lives will ever be the same again.